Our hardworking and dedicated teachers work collaboratively as a team to ensure an open-minded, respectful, and joyful learning environment in the classroom. This small community enables us to develop a close relationship with each child and their families. Chizuru has been dedicated to Montessori education since her two daughters were enrolled in a Montessori school nearly three decades ago. She earned an American Montessori Early Childhood certification through the Center for Montessori Teachers’ Education/N.Y. in 1992. After beginning her career at the Village School in Waldwick, N.J for six years, she founded Little Crane Montessori School in 1998, where she serves as the director and primary teacher. She is passionate about primary school education and brings positive energy, appreciation and experience to the classroom. During her free time, she enjoys nature walks and swimming. Kathy has been a part of the Little Crane Montessori School community since 2013. Kathy has worked with children and adults as a librarian at various Mahwah public schools for over 20 years. She is passionate about introducing children to new books. She enjoys sharing her love for learning and reading to children of all ages. She holds a B.A. in Economics from College of Mount Saint Vincent. During her free time, she enjoys finding new books and discovering new literature. Mehrie has received her Montessori certificate in Early Childhood from the Center for Montessori Education N.Y. in 2017. Furthermore, she has obtained her Master of Arts Degree in Mathematics Education from Teachers College of Columbia University. Within the last ten years, she has taught mathematics in various colleges in both New York and New Jersey. She has also worked as a Librarian, and taught Montessori to children from the ages of 2.5 years through 6 years. During her free time, she enjoys exercising outdoors and in a fitness center, traveling, and baking. 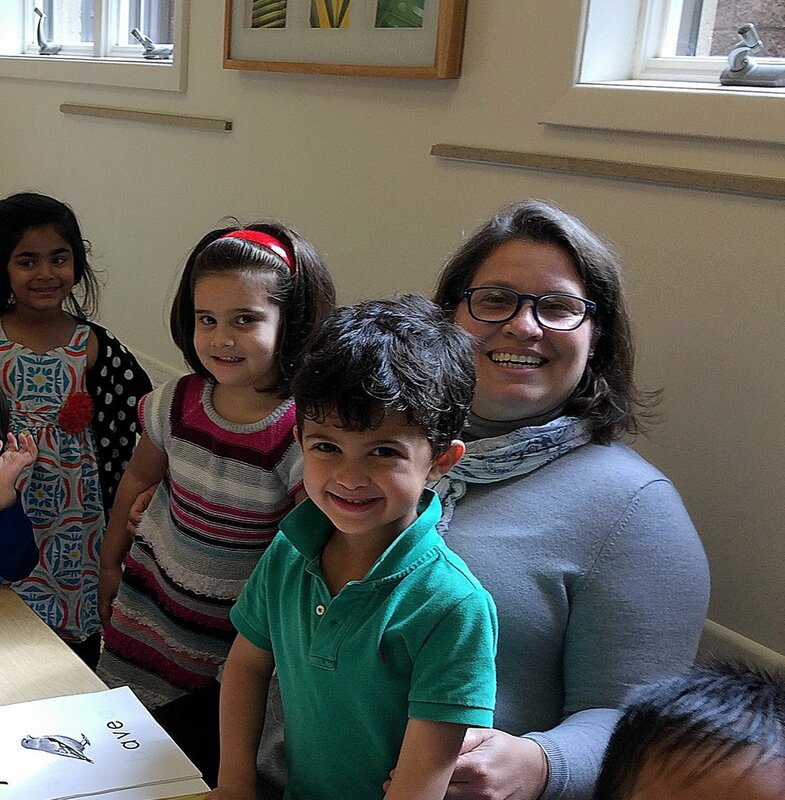 Mary has been a dedicated Montessori with close 20 years experience in Montessori Schools. She has been working on an American Early Childhood certification through the Center for Montessori Teacher’s Education / N.Y., and has worked with children ranging from infants up through Kindergarten. She was the owner and operator of Ladybug Montessori Learning Center in Belleville for 15 years, and is so proud of her work and dedication to the Montessori method. Mary recently moved to Glen Rock with her husband and two daughters. She enjoys spending time outdoors, cooking, making crafts, and playing silly games with her family. Gale brings 13 years of experience working with preschool children. Prior to her background in early childhood education, she worked in the Midland Park Public School System for 8 years assisting the High School Librarian. Gale has enjoyed a busy family life raising her three sons. During her free time, she finds joy in nature, animals, reading, yoga, biking, hiking and kayaking. She is excited to prepare books for our children’s favorite story time. Ivel has been working at Little Crane Montessori School as Public Relation Representative and Spanish teacher for more than 6 years. She is a native Spanish speaker teaching Spanish for over 10 years. She is a Bio-Chemical Engineer with experience in the pharmaceutical field, certify as Trainer and ELearning developer from the Langevine Institute in Toronto, Canada. Currently, She is pursuing a Master in Business Administration.